Located beside the Third Ring Road, the Boyue Beijing Hotel is well positioned in the city’s embassy district, just 20 minutes from Beijing Capital International Airport and the new China International Exhibition Center (CIEC). With attractions such as the International Exhibition Center, the National Agriculture Center, Sanlitun Village, Beijing Lufthansa Center and Lady’s Street all within easy reach, guests will find plenty in the vicinity to keep them occupied. 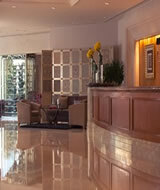 20-minute drive from Beijing Capital International Airport and China International Exhibition Center. 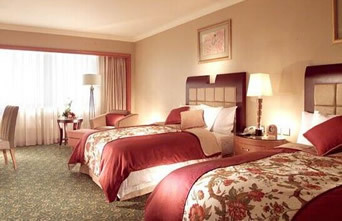 Boyue Beijing Hotel has 219 well-appointed guestrooms and suites equipped with high speed Internet access, 24-hour room service and other modern amenities. The on-site restaurants serve local Chinese cuisine and Western cuisine for those in need of some home comforts. 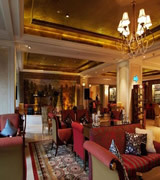 Boyue Beijing Hotel has 700 sqm of creative meeting space including a grand ballroom and 12 function rooms, while the Sunflower Ballroom can seat 500 making it an ideal choice for meetings and social activities. After a workout in the gym, guests can cool off in the swimming pool or relax sore muscles in the sauna. © Copyright ©2003-2017 WWW.BOYUEBEIJINGHOTEL.COM. All Rights Reserved.